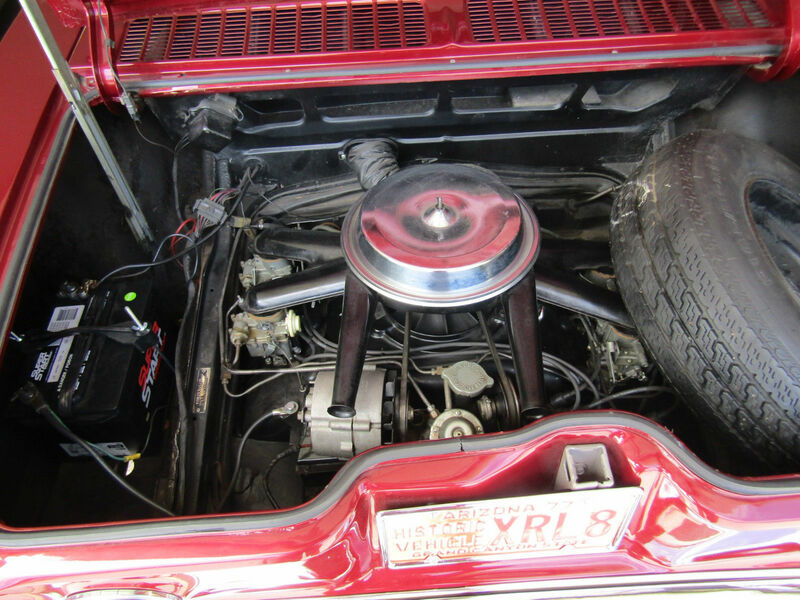 When it was first released in 1960, Sports Car Illustrated called the Chevrolet Corvair “the most profoundly revolutionary car … ever offered by a major manufacturer.” The second generation Corvair offered from 1965-1969 was both the evolution and the swan-song for GM’s domestically produced answer to the onslaught of imports. For a brief moment, there was a Corvair for just about every garage, as it was offered as a two door, four door, station wagon, pickup and convertible. 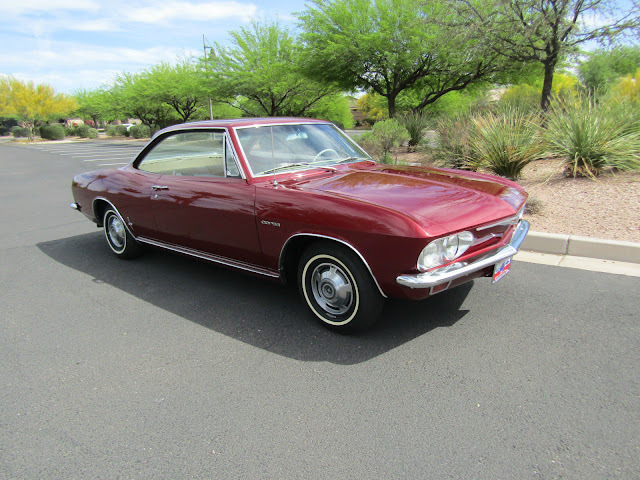 Find this 1965 Chevrolet Corvair Corsa here on eBay bidding for $8,100 reserve-not-met with 4 days to go, located in Florence, AZ. This is pretty tastefully modified Corvair. The color is not stock, but it looks well done and its got the right engine, transmission and gauge package,All the exterior bits of trim look nice. Stuck with the standard wheel covers and tiny wheels with whitewalls. I think all this thing needs is a tastier set of wheels/tires and it would make someone a great daily driver. The interior is a modified cloth which is integrated really well. 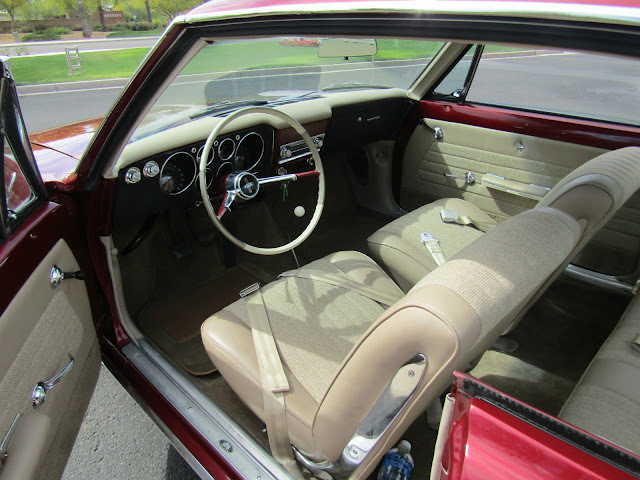 The fold down seat area is well upholstered and it looks like bright/fresh interior chrome. Only problem. Its early in the auction.. how high will it go? 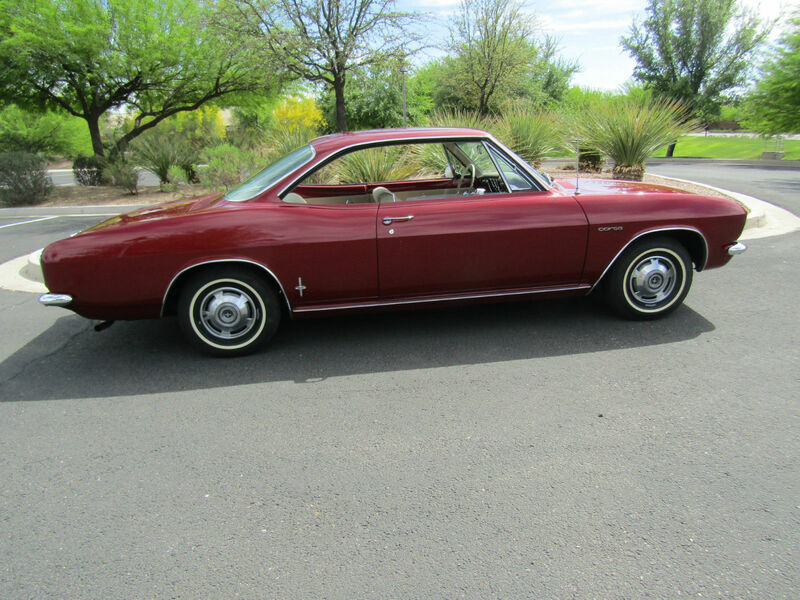 We've certainly put up enough Corvairs over the past couple of years and they have certainly been one of the better investments in the less than $10K market. Not sure where it will end up, how 'bout you? Ah Florence Az home to like 3 Prisons not a pretty place. I just noticed...the guy misspelled his license plate XRL8 instead of XLR8, my confidence in the car (which looks ideal for a daily driver Corvair) has just been shattered! XRL8 was actually the code Ralph Nader used when he did the wiretaps on GM. ...there was a Corvair for just about every garage, as it was offered as a two door, four door, station wagon, pickup and convertible. Yep. Greenbriar, or was it Greenbrier. Damn autocorrect. I still have the pink slip for a 1959 Corvair, the car itself is buried under the neighbor's driveway. For anyone keeping track of climbing Corvair prices this auction closed at $11,400. Based on what you could buy these for 3 yrs ago, these are climbers.